Paul Shamble, John Harvard Distinguished Science Fellow, has done research on how a particular species of spider mimics the behavior of ants to camouflage itself from predators. A hundred milliseconds seems impossibly fast, shorter than the blink of an eye, but for a species of jumping spider known as Myrmarachne formicaria, it’s enough time to trick a predator into thinking it’s an ant. Using high-speed cameras, Harvard researchers have shown that, contrary to widely held belief, the spiders don’t walk on six legs in an attempt to appear more ant-like, but instead walk with all eight but take tiny, 100-millisecond pauses to lift their front legs to mimic an ant’s antennae. The findings are discussed in a paper recently published in the Proceedings of the Royal Society B. Understanding how the spiders walk and how they mimic ants, Shamble said, was one of the central aims of the study. The answer came when Shamble and colleagues used high-speed cameras to photograph the spiders. Why do the spiders go to such lengths to convince predators they’re ants? With tiny bodies made up largely of exoskeleton, ants offer little in the way of nutrition, meaning predators have to eat large numbers of them to see any dietary benefit. So if the jumping spiders appear to be ants, other predators are less likely to attack them. In addition to looking like ants, the spiders have found ways to walk like them too. 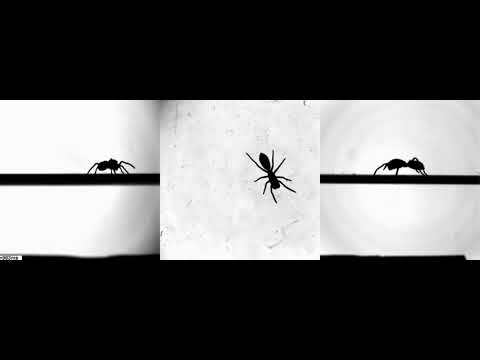 In additional tests, Shamble and colleagues were able to show that the 100-millisecond pauses in the spider’s gait are precisely timed to fool predators. If they were faster, predators’ visual systems wouldn’t be able to process the information fast enough, eliminating the ant-mimicking effect. If they were any slower, it would be clear the spiders were using their front legs to mimic ant antennae. 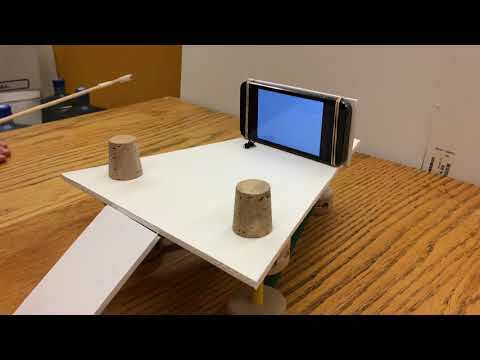 The researchers also created simple animations of ants, normal spiders, and the ant-mimic spiders. Those animations were then played on iPhones for predators, with surprising results. Upon seeing animations of ants and the ant-mimics, the predatory spiders showed no reaction. When they saw normal spiders, however, the predators showed a tendency to leap toward the screen. “The thing that’s interesting about mimicry [is] for a long time people had this expectation that any mimic should be a perfect reproduction of the creature it was mimicking,” Shamble said. “But it’s only been recently that people have … realized that you don’t need to look exactly like something, you just need to sow the seeds of doubt. The mimicry only has to be good enough to satisfy what you’re worried about. A study by Ph.D. candidate Mashaal Sohail (left) and HMS Professor Shamil Sunyaev found that humans maintain a high mutation rate through a process that stops dangerous mutations before they can spread through the population.